You are here: Home / Health / Green Phlegm: A Calling for Antibiotics? Green Phlegm: A Calling for Antibiotics? When cold and flu season is in full swing, we are often coughing or blowing green phlegm out of our sinuses. However, does this mean we need antibiotics? The winter months are notorious for colds and flu. 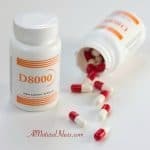 A lack of sunlight brings down Vitamin D exposure. People are crammed closely indoors. Sinus infections run rampant. As disgusting as it is, we always find ourselves looking at the phlegm we remove. If people see clear phlegm they have no problem waiting out their cold. But, as soon as the color changes they run for the doctors. Often they wish for the Z pack of antibiotics to “cure” their symptoms faster. The problem is more often times than not a viral infection. This means that antibiotics will do nothing to cure your symptoms faster. What they will do is aid in the rise of superbugs. These superbugs are bacteria that become resistant to antibiotics. So, what does your green phlegm, and other phlegm, tell you about your health? 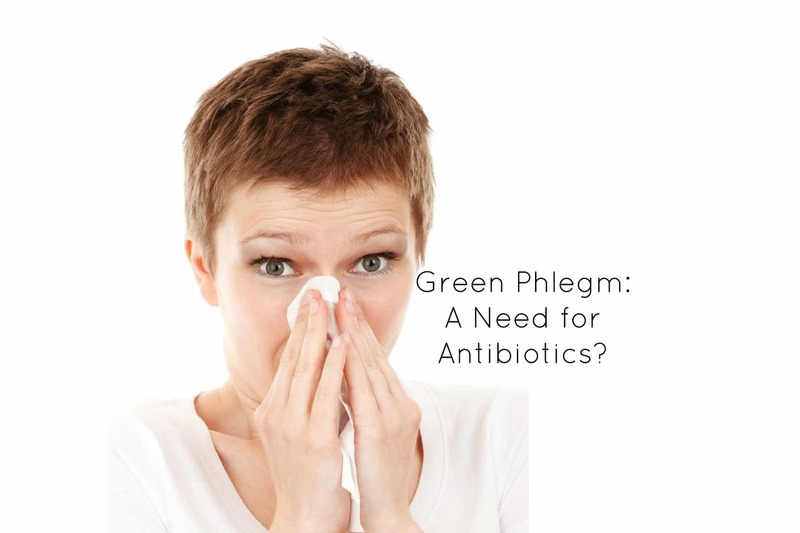 Green Phlegm: A Need for Antibiotics? Green phlegm can be indicative of either a bacterial infection or a viral infection. 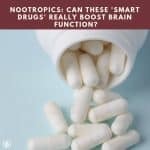 It can even be indicative of foreign substances being in your sinuses. When any foreign material (microorganisms, dirt, or pollutants) enters the body white blood cells are sent. These white blood cells emit a protein that is a bit green color to get the foreign substance out of your body. This is why antibiotics may not always be needed to battle an infection that causes green phlegm. You could be breathing in bad air. You could have some foreign substance stuck in your lungs (even food or water). So what if you do not have a foreign substance in your body? That still leaves you the options of either a bacterial infection or viral infection. 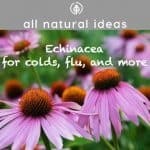 Most sinus and respiratory infections are viral. Viral infections can be unpleasant. However, over a period of a week to a few weeks they can go away on their own. Do not go running to the doctor’s the second you see green phlegm. Wait it out for a few days to see how your body progresses. There are other colors that mean other tell tales. If your phlegm has red in it, you should be worried. But only if you are coughing it up. 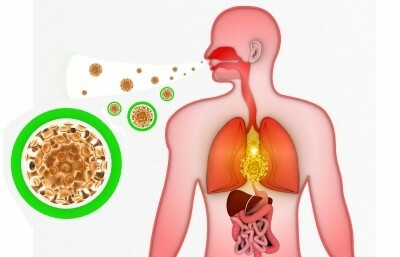 This is a sign that you have bronchitis which is a bacterial infection. If you have blood coming from your nose it just means your dehydrated. When your sinuses get dry from lack of body water they will dry up. This is similar with your skin. Thus, the dry skin is easier to crack and can cause bleeding. If you are coughing up brown phlegm chances are that you are a smoker. This color is the tar and other products you are inhaling into your lungs. It is the body’s natural way of trying to clean and bring your lungs back to normal. The last common color you may see is pink. This is fluid coming from the lungs. Your lungs filling with fluid is not a good sign. This is one of those tell tale signs that you should see a doctor immediately. They can help give you further guidance as to where to go next. Europe has an antibiotics awareness day. 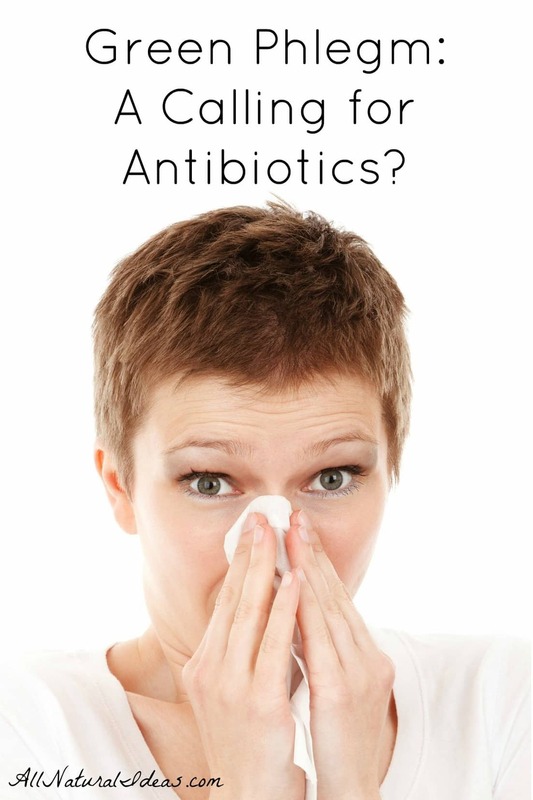 They preach that antibiotics should only be used if it is inherent you have a bacterial infection. Antibiotics are becoming more and more overused in mainstream society. Help slow down and stop the rise of the superbug. With these new strains emerging, it will become necessary to make stronger antibiotics. Stronger antibiotics will only cause more havoc onto your body. Be more hesitant when you see green phlegm, it most likely is not a bacterial infection.